On May 9, 2017, Russia is celebrating the victory over Nazi Germany in the Great Patriotic War and the end of WWII in Europe. 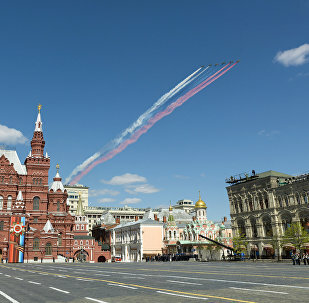 Russia's celebrations on May 9 start with military parades across the country with the most famous taking place on the Red Square in Moscow and concludes with fireworks in the evening. The Great Patriotic War (1941-1945) was a crucial part of World War II (1939-1945). It began on June 22, 1941, when Germany attacked the Soviet Union. Germany signed the Act of Unconditional Surrender in a suburb of Berlin in the late evening of May 8, 1945 (already May 9 according to Moscow time). Russia is satisfied with a large number of international delegations during this year's May 9 Victory Day, Kremlin spokesman Dmitry Peskov said Wednesday. Millions of people in Russia and countries across the world have participated in the "Immortal Regiment" marches to honor those who fought against Nazism in the World War II. Around 8 million people took part in the World War II commemoration event, dubbed "Immortal Regiment," in Russia, spokeswoman of the Russia's Internal Ministry Irina Volk said Tuesday. 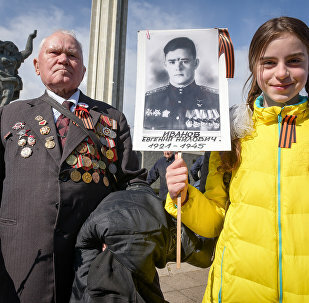 The 72nd anniversary of the Great Victory was marred in Ukraine by provocations and clashes with radical nationalists, as well as by attempts to block the "Immortal Regiment" march. 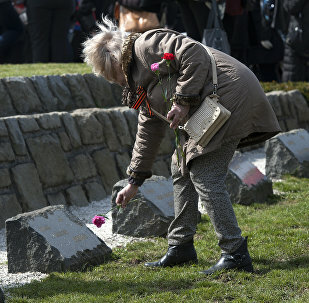 Around 1,000 people took part in the commemoration events marking the Victory Day at Slavin War Memorial in central Bratislava, Nikolai Levshunov, a spokesman for the Russian embassy in Slovakia, told Sputnik Tuesday. While Ukrainian authorities opted for a modest celebration of the 72nd anniversary of the victory in World War II without a military parade or fireworks, Ukrainian citizens seem to be more interested in the Victory Day celebrations than ever before. 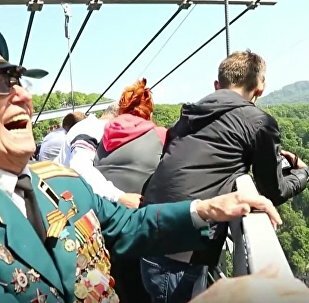 Ahead of the 72nd anniversary of Nazi Germany's defeat in the Great Patriotic War on May 9, a group of Russian veterans found an unconventional way to celebrate. Syrian President Bashar Assad on Tuesday compared the Russian servicemen, who are fighting against terrorism in Syria, with the heroes of World War II as they successfully succeed their ancestors in accomplishing military feats. 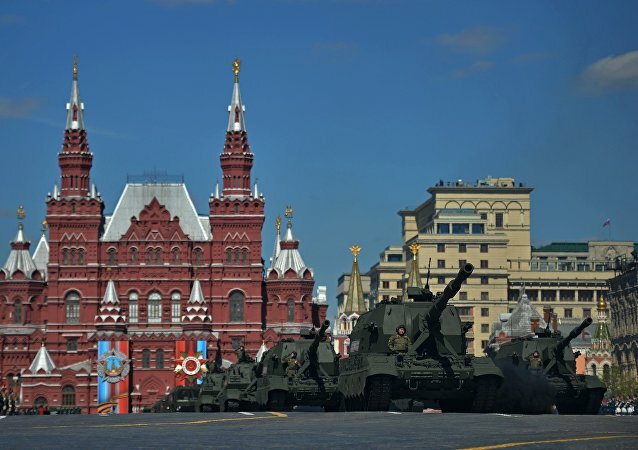 On May 9, Russia celebrates the 72nd anniversary of Nazi Germany's defeat in the Great Patriotic War, with the annual military parade taking place on Moscow's Red Square. 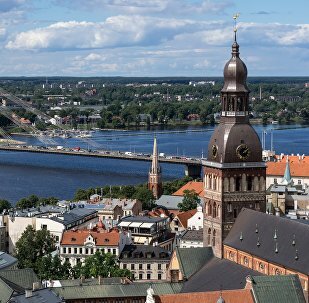 Around 4,500 people took part in the "Immortal Regiment" commemorative march in the Latvian capital of Riga on Tuesday, organizers of the event said. Kremlin spokesman Dmitry Peskov explained why the 2017 Victory Day military parade in Moscow hadn't feature Russian warplanes as usually. Thousands of Israelis marched on Tuesday through the center of Jerusalem, marking the Victory Day. Serbian Prime Minister and President-elect Aleksandar Vucic put on a St. George ribbon presented to him by Sputnik and said that he is proud of belonging to a nation that from the very beginning fought for freedom and against fascism. More than 600,000 people are taking part in the "Immortal Regiment" commemorative march in Moscow on Tuesday, the Russian Interior Ministry said.